Canonical has announced that an Ubuntu-flavored version of the Intel Compute Stick will go on sale next week, priced at around $110, via online and brick-and-mortar stockists. 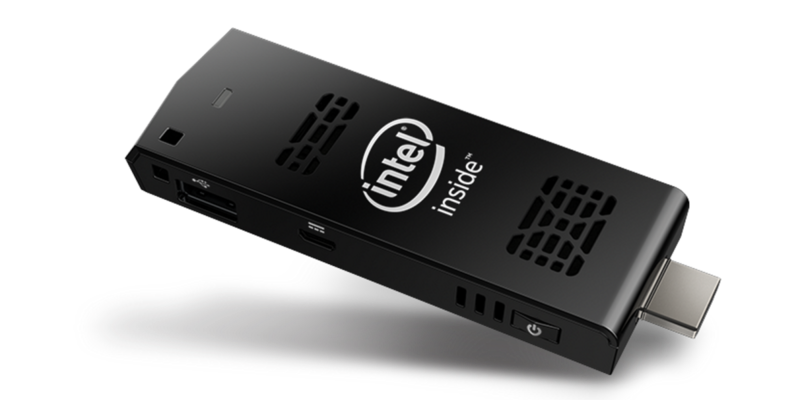 Essentially, the Intel Compute Stick is an HDMI dongle that you plug into a TV or monitor to get a PC-like experience, which makes it attractive for use as a halfway house between something like a Chromecast and having a full media center plugged into your TV, for example. The stick will ship with the 64-bit version of Ubuntu 14.04 LTS pre-installed and has an Intel Atom 1.3Ghz quad-core processor, 1GB RAM and 8GB of on-board storage. There’s a microSD slot for additional storage too. This isn’t the first time we’ve seen the Intel Compute Stick but it is the first time that the Ubuntu version has been offered for sale. The Windows version, with slightly better hardware, costs a little more though, at $150. The Ubuntu version will be available from retailers such as Amazon, Best Buy and Newegg.com, but Canonical didn’t say exactly when next week they’d go on sale.